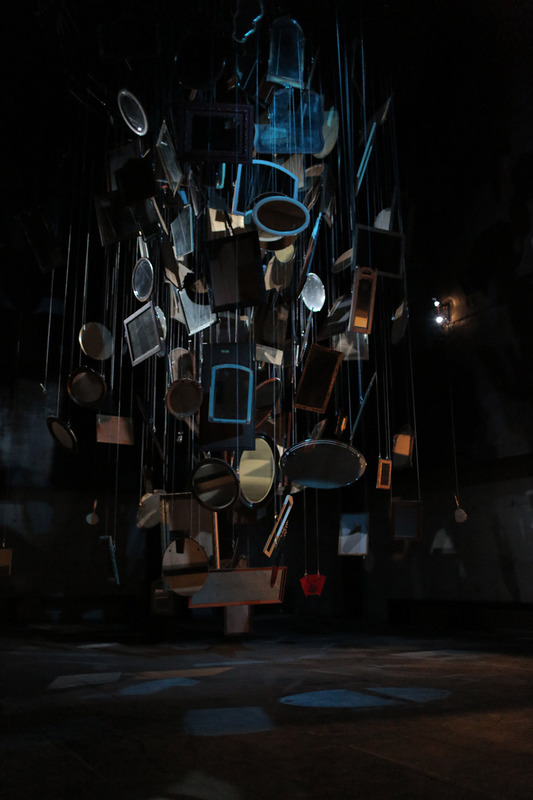 Inspired by Pythagorean theory Cardiff & Miller’s latest collaboration features a large-scale, kinetic, audio mobile. 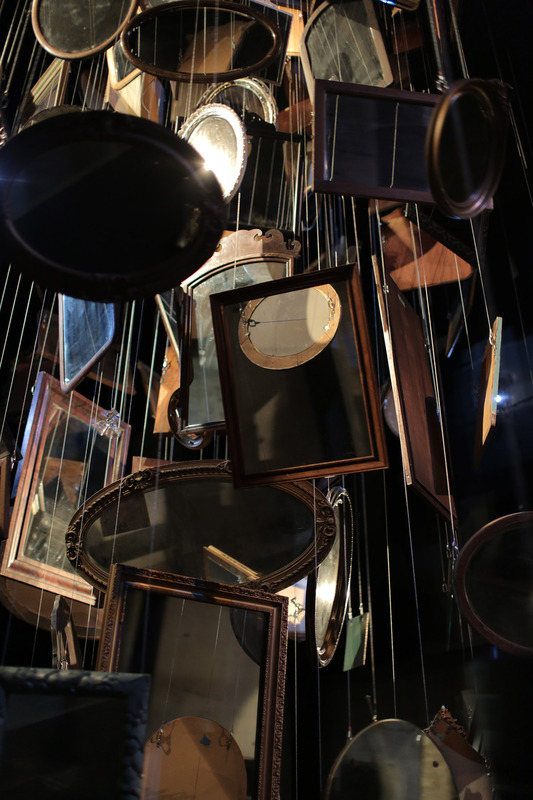 Suspended from the ceiling over 150 antique mirrors revolve, casting shadows throughout the darkened gallery. 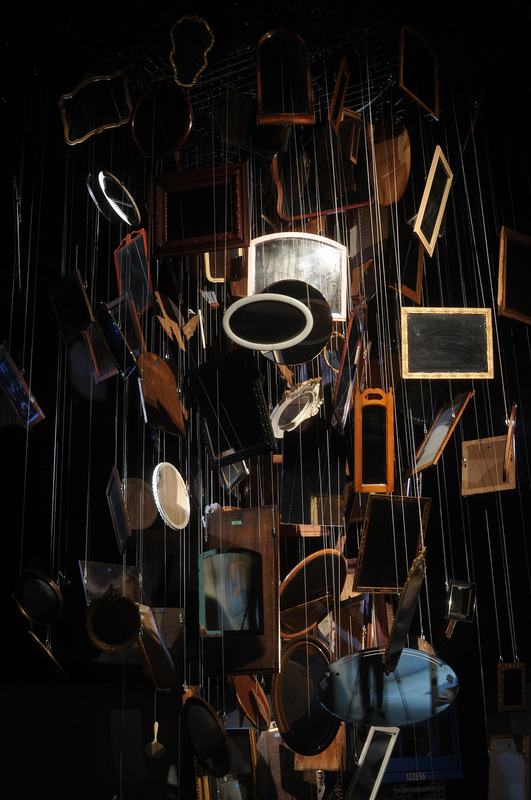 Sounds referencing space vibration echo in the Chapel, paralleling the tilting movement of the mirrors as the layers transform the environment, evoking an ominous rather than meditative space. The stark, disorienting experience reminds me of Kusama’s Infinity Rooms or Alice trapped in a myriad of looking glasses. One questions the work’s connection to the Byzantine Fresco Chapel, however the installation’s immersive quality provides the infinite atemporality promised. courtesy of the artists and the Menil Collection.